Labour members have backed a move to make it easier to deselect sitting MPs. Until now, MPs only faced an open reselection contest if 50% of a constituency’s local branches and affiliated unions voted for it. 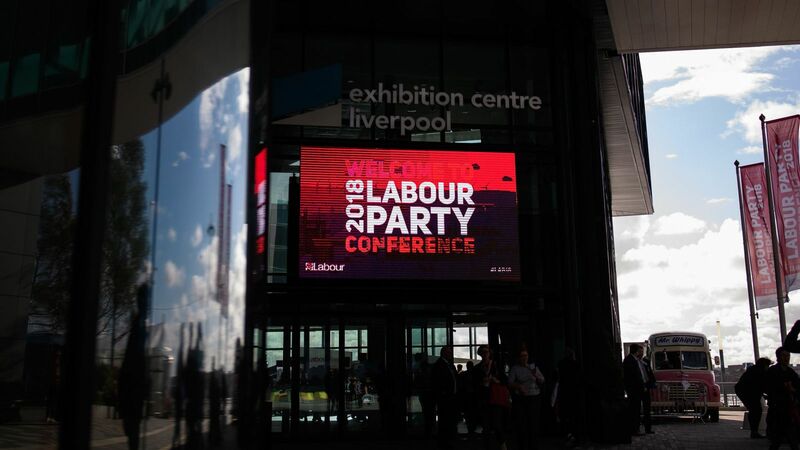 But delegates at the party’s annual conference in Liverpool backed a proposal for that threshold to be reduced to 33%. A total of 65% of members and unions backed the move, with 34% voting against. Opponents say this is part of an effort to purge “Blairites” and other critics of leader Jeremy Corbyn. Deputy leader Tom Watson told Sky News ahead of the vote that mandatory re-selection would be “very destabilising for the party”. “We are potentially close to a general election, maybe any day,” he said. Delegates also backed changes to the rules covering leadership elections. While the 10% threshold for the number of nominations from fellow MPs a candidate must secure to get on the ballot paper has not changed, they must now also secure nominations from 5% of constituency parties or 5% of trade union members or affiliated organisations.